Profitability impact due to reduction in TER on existing assets will be limited or negligible, as HDFC AMC has decided to pass on most of the cost to the distributors. On the incremental flows, the P&L impact will be more gradual. 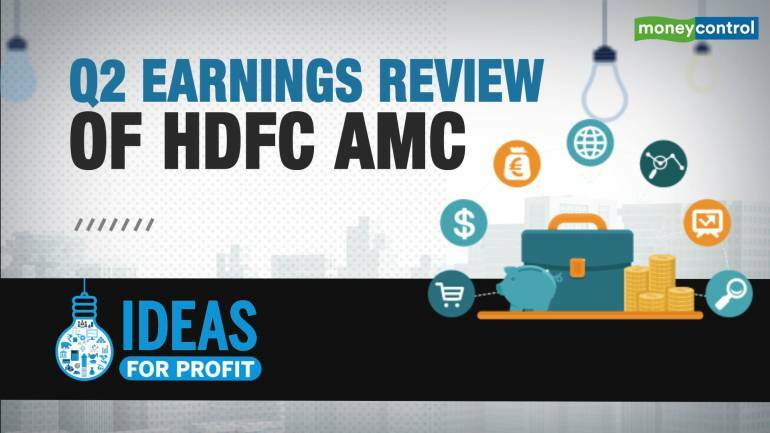 HDFC Asset Management (HDFC AMC), second largest asset management company (AMC) in India, reported stable Q2FY19 earnings with 15 percent year-on-year (YoY) rise in net profit on an increase in assets under management (AUM) and better asset class mix. HDFC AMC has an exposure of around Rs 40 crore towards IL&FS’s (holding company) preference shares. It took impairment hit of Rs 21 crore in Q2. Adjusting this one-off impairment expense, core operating profit growth was healthy at 20 percent YoY. Management gave good insights into a couple of issues confronting the mutual fund industry today. At the time when the MF industry is facing redemptions (withdrawals) in liquid schemes, HDFC AMC witnessed good traction in its liquid funds. HDFC’s liquid AUM which generally ranges between Rs 40,000 -50,000 crore has increased to over Rs 75,000 crore in October, till date. While the AMC earns negligible fees on liquid funds, market share gain during the tumultuous period is the testimony of HDFC AMC’s strong brand. Management’s commentary on another most important issue of capping of total expense ratio (TER) by SEBI was very comforting. Management clearly indicated its intent and ability to pass on the cut in expenses to distributors. This should limit the adverse impact of SEBI’s move on the AMCs financials which spooked the markets leading to free-fall in AMC stock. HDFC AMC’s AUM increased to Rs 292,600 crore as of end September 2018, a growth of 9 percent YoY. This was slightly better than the industry’s total AUM growth of 8 percent during the same period and consequently, HDFC AMC continued to maintain its overall market share at 13 percent. While the AUM growth in line with the industry is positive, the key highlight was the robust growth in equity assets at 20 percent YoY. We are most enthused by the fact that high revenue earning equity assets constitutes 52 percent of HDFC’s total AUM as against 50 percent last quarter and 48 percent in the corresponding quarter in the previous year. In terms of asset mix, HDFC AMC stands out far better than the industry which has 44 percent of total AUM in equity assets as at end September 2018. Thanks to better asset mix, Q2 saw revenue growth of 12 percent YoY, higher than AUM growth. Profit to assets was almost stable at 27 bps in Q2 FY19. HDFC AMC continues to enjoy the highest share of individual customers. The AMC reported unique individual accounts of 8.62 million as at end September 2018, a growth of 24 percent YoY. As a result, 64 percent of the AMC’s total monthly average AUM is contributed by individuals, compared to 53 percent for the industry. This is very encouraging as flows from individual customers are relatively sticky. Also, individual investors favour equity schemes which generate higher investment management fees compared to debt schemes. The current monthly flow through systematic investment plans (SIP) stood at Rs 1,147 crore. 65 percent of SIP book has a tenure of more than 10 years adding to predictability and visibility of AUM growth. The proposed reduction in TER by SEBI will lead to the weighted average impact of 24 bps on HDFC’s equity-oriented AUM which it plans to pass on by cutting the distributors’ commissions. It is worth noting that SEBI had lowered the charges earlier this year by 15 bps which was entirely passed on to distributors by HDFC AMC. For new inflows, the AMC will have to absorb some impact. The extent of cost sharing with the distributor (whether it is 50:50 or 60:40) will be determined in due course based on how the competition pans out. So overall, profitability impact on the existing assets will be limited or negligible, as the AMC has decided to pass on most of the cost to the distributors. However, on the incremental flow, the impact can be larger but at the same time, it will be more gradual from a P&L perspective. SEBI has not yet notified the effective date for the reduction in TER. We will not be surprised if HDFC AMC rationalises other marketing expenses to limit the downside of the regulatory move in the meantime. We have already seen the growth in total operating expenses excluding non-recurring item was extremely controlled at 2 percent YoY in Q2. HDFC AMC, in our view, is best positioned in the investment management space with its strong and trusted brand recall, favourable asset mix with leading position in equity business, expanding distribution network and experienced management. Being an industry leading player, it will continue to be one of the key beneficiaries of the enduring growth in the mutual fund industry and keep growing its AUM and profits. Following SEBI’s announcement of capping TER, the stock corrected almost 30 percent from its 52-week high. Despite the sharp fall in stock price, valuations are still rich as the AMC is trading at 10 percent of its trailing AUM and 33 times FY20e (estimated) earnings. On a relative basis also, HDFC AMC is being valued at more than 50 percent premium to its closest peer. This doesn’t come as a surprise. Akin to most of HDFC group companies, AMC also commands relative premium valuation purely stemming from its brand and consistency in the performance. Despite management clarifications, we believe TER reduction would continue to be an overhang for the stock till further clarity emerges and limit the near-term upside to the stock price. However, given HDFC AMC’s best-in-class return ratios with return on equity (RoE) above 40 percent and future growth levers, we believe downside will be limited. SEBI’s complete restriction on upfront commissions paid to fund distributors will reduce the distributor driven churn of schemes and benefit a well-entrenched player like HDFC AMC. Also, the lower charges (TER) will make mutual funds more attractive for investors and aid penetration in the long run. In the intermittent period, the stock can be volatile. Long-term investors should look to buy the stock in a staggered manner as SEBI’s move doesn’t alter the structural growth story of HDFC AMC.